At WWT we shape unforgettable experiences. Our Visitor Engagement team helps us to deliver our vital conservation work by generating income and interest through interpretation at the centre, and giving our visitors a unique and exciting day out! Our founder, Sir Peter Scott, was an artist and used his art to engage and inspire people with wildlife and conservation. We hope to continue this tradition by promoting art to help inspire others in this way. In this role you will be creating art interpretation to engage as many visitors as possible. We are looking for individuals with an art expertise that could help to create appropriate art work. Who will be responsible for your role? Due to the fact that the role would be project based, the amount of time may fluctuate. Under the Engagement Officer’s direction, the art work could involve all sorts of different mediums including, murals, wood and painting etc. The majority of art will have a wildlife theme. It could also be education related. Where appropriate, you will be using reusable materials. Working within a small realistic budget. Someone with a passion and knowledge for wildlife and an interest for interacting with the public. This role would suit students or amateur (wildlife) artists of any age. Flexibility with what days and times you are available, due to the busy nature of our Visitor Engagement team. This is an incredible opportunity for the public to see your artwork. It would also give you fantastic experience. We will offer you an induction into WWT, and the centre and support you in your role. Please go to www.wwt.org.uk/volunteer to see details of this role and then complete and submit the online application form. 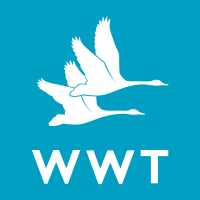 Please email amy.hannan@wwt.org.uk if you have any problems with completing the online application form.